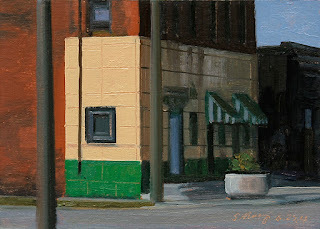 This Urban landscape painting is a view of Brents Place on Michigan Ave in Detroit. 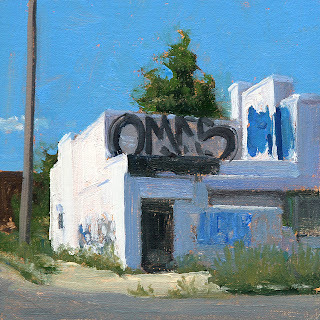 This Urban landscape painting is a view of a building on Jefferson Ave near yesterday's post of the historic Kovacs Bar in Delray. 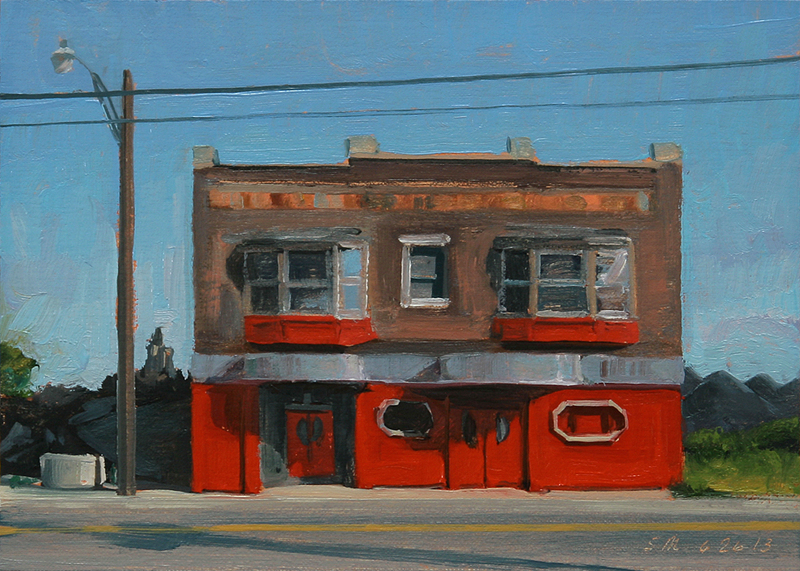 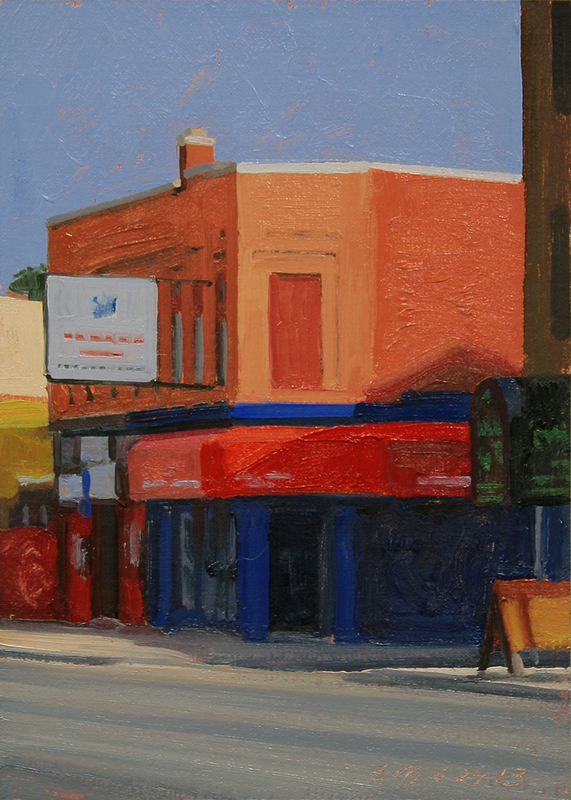 This Urban landscape painting is a view of the historic Kovacs Bar in Delray. 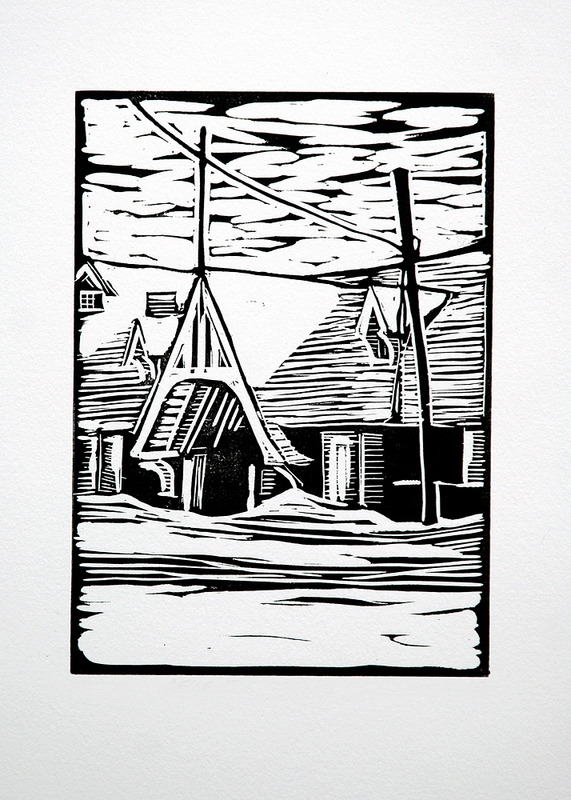 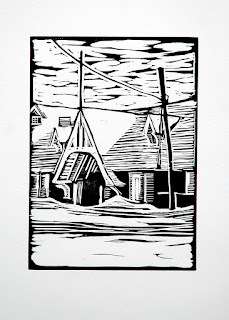 home to many Zug island workers. 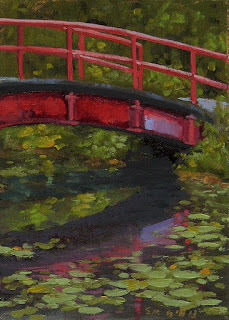 It is now closed and awaits an uncertain future as it might be leveled to make way for a second proposed bridge to Canada. 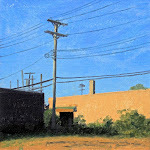 This Urban landscape painting is a detail view of the original Ford Model "T" plant. 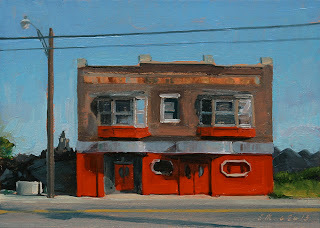 It is the Albert Kahn designed Highland Park Plant, built in 1909. 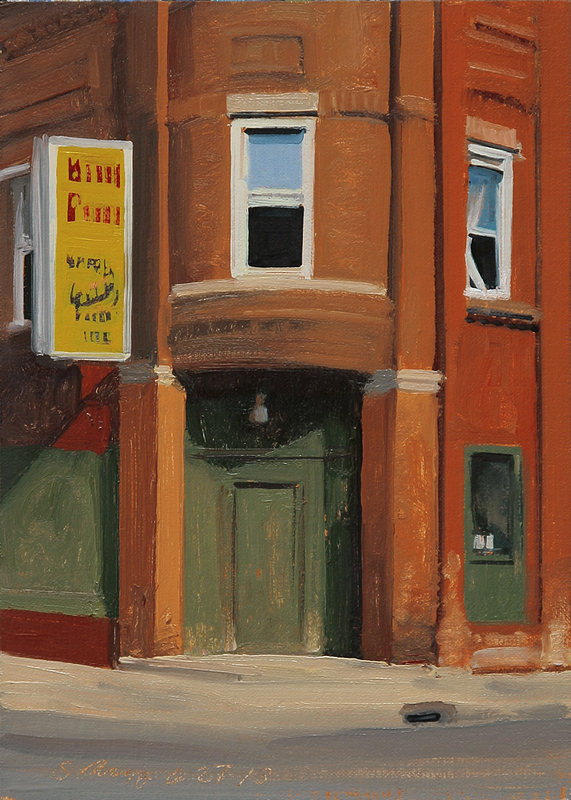 It was the first plant to have an assembly line and was the beginning of mass production, The famous Ford Model "T" was made here and by 1927 when the Model "T" was phased out, over 15 million had been produced. 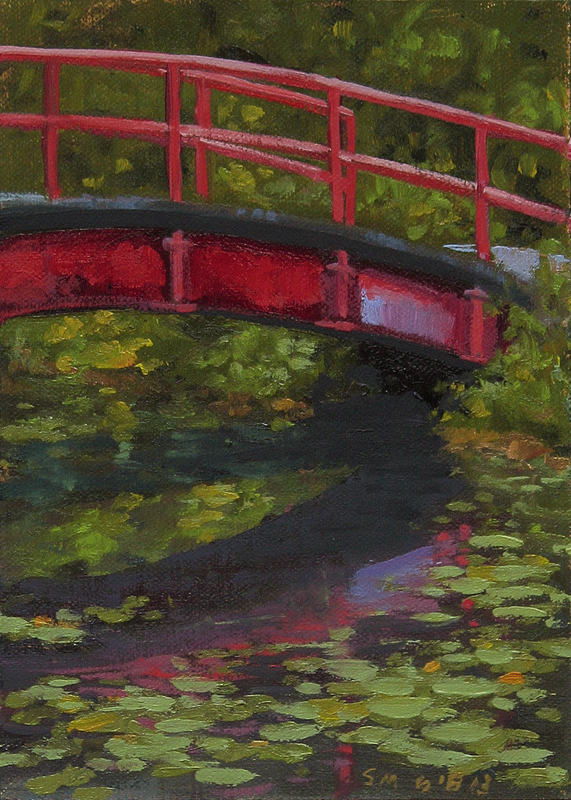 This landscape painting is a view of the beautiful little red footbridge over Nashua Creek on Belle Isle painted en Plein Air. 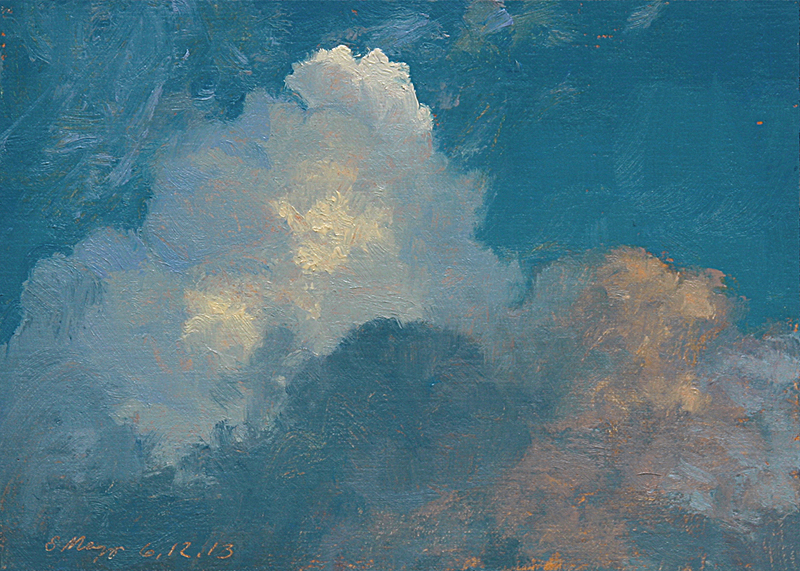 This is the second painting from Tuesday. 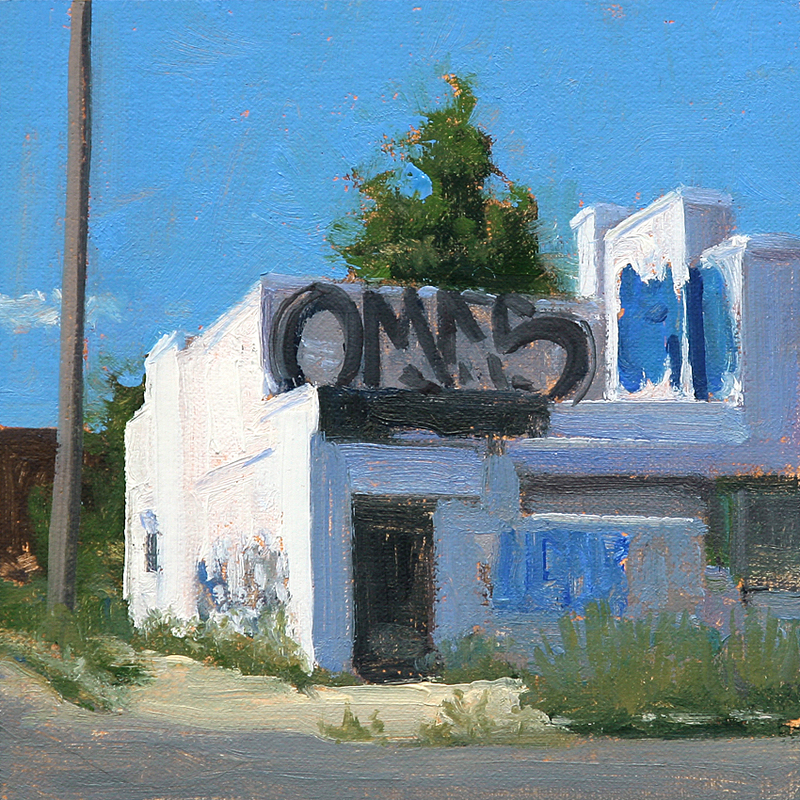 Please note this is on a thin 1/8" Ray Mar oil primed panel without hanging slots like the thicker panels. 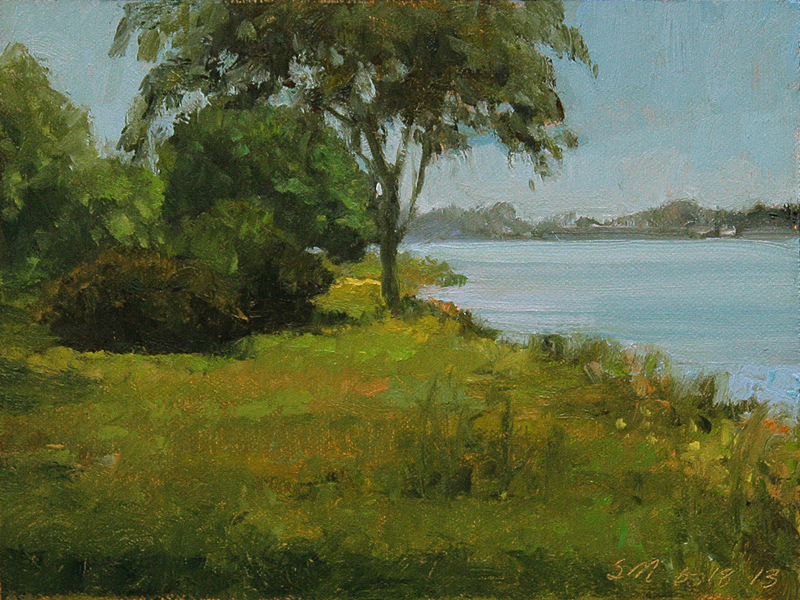 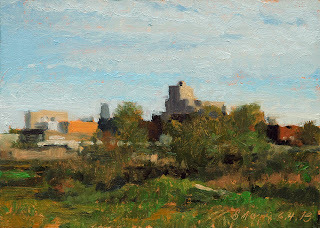 Oil on linen/panel, 2013, 6x8"
This landscape painting is a view on Belle Isle painted en Plein Air yesterday. 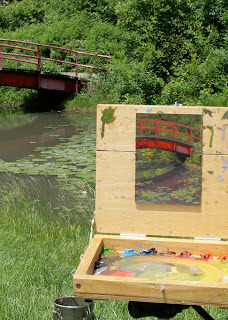 It was a beautiful day and I got a couple of paintings done. I will post the second tomorrow. 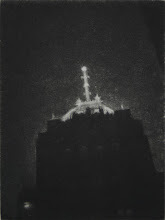 Oil on linen/panel, 2013, 5x5"
Linoleum print, 2013, 7x5" on 12x9" paper"
A black oil based ink printed on 12x9" Rives acid free rag paper. 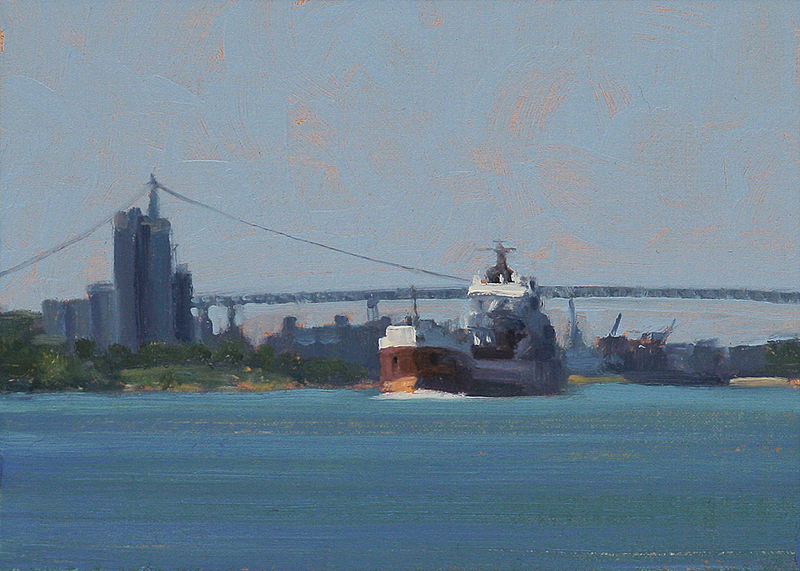 This painting is a view of the freighter, Atlantic Superior upbound in the Detroit river seen from Belle Isle Park. 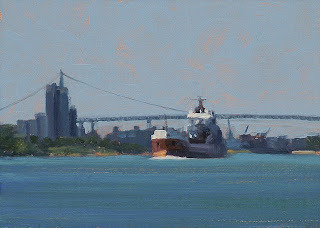 A Great Lakes freighter from the Canada Steamship Lines, Montreal, QC. 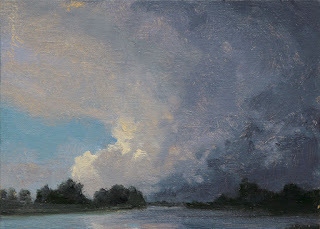 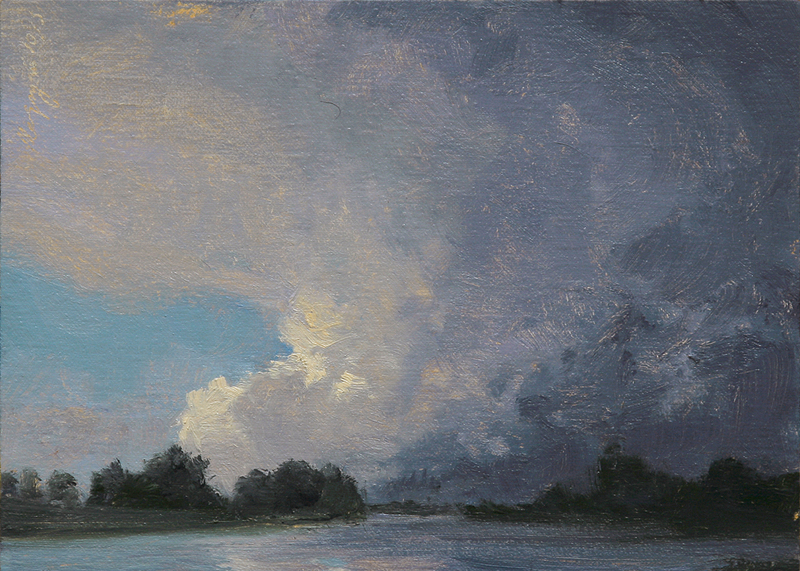 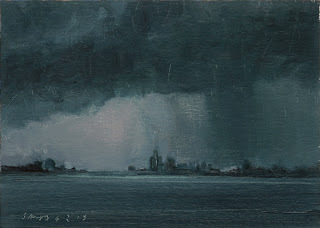 This painting is a study of late evening storm clouds just to the South of us yesterday. 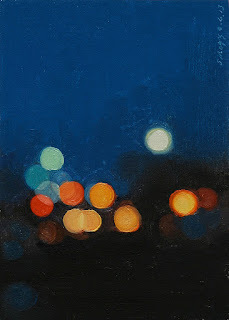 This urban landscape painting is a view of blurred city lights in Detroit, MI. 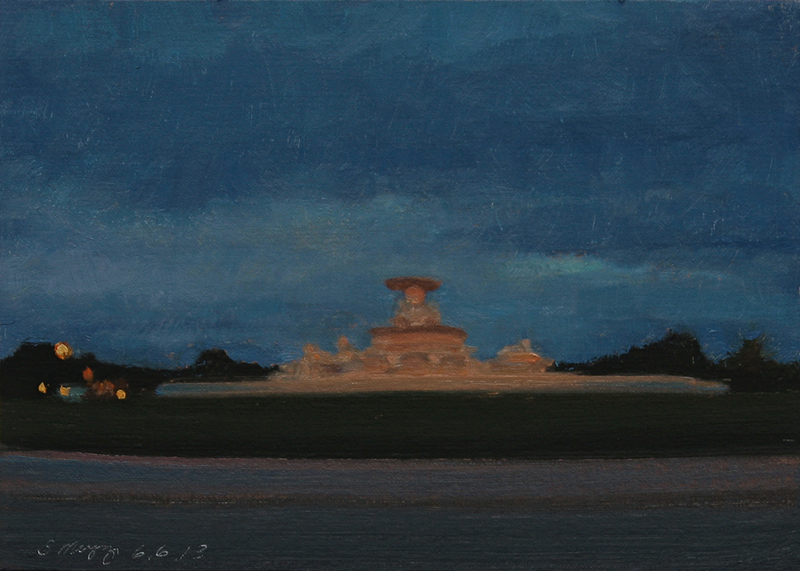 Also known as Bokeh "the way a lens renders out-of-focus points of light"
This landscape painting is a view of evening light on clouds over Lake Okonoka on Belle Isle Park. 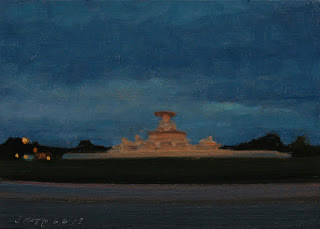 This nocturne painting is a view of late evening light on the Scott Fountain on Belle Isle Park, against a sky of deep storm clouds. 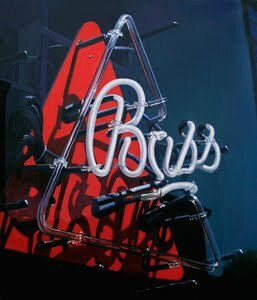 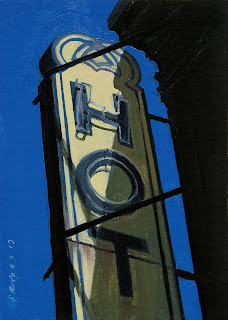 This urban landscape painting is a view of the neon sign for the Roosevelt Hotel on 14th St in the Corktown area of Detroit, MI. This urban landscape painting is a view of the Eastern Market area of Detroit, MI. 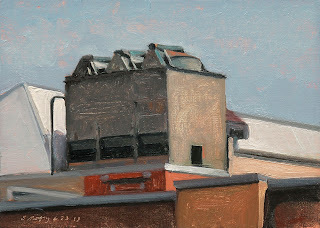 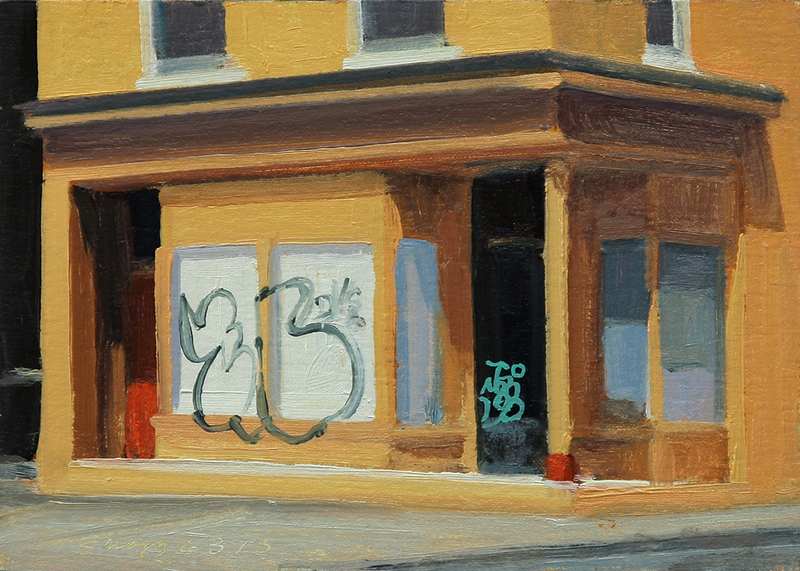 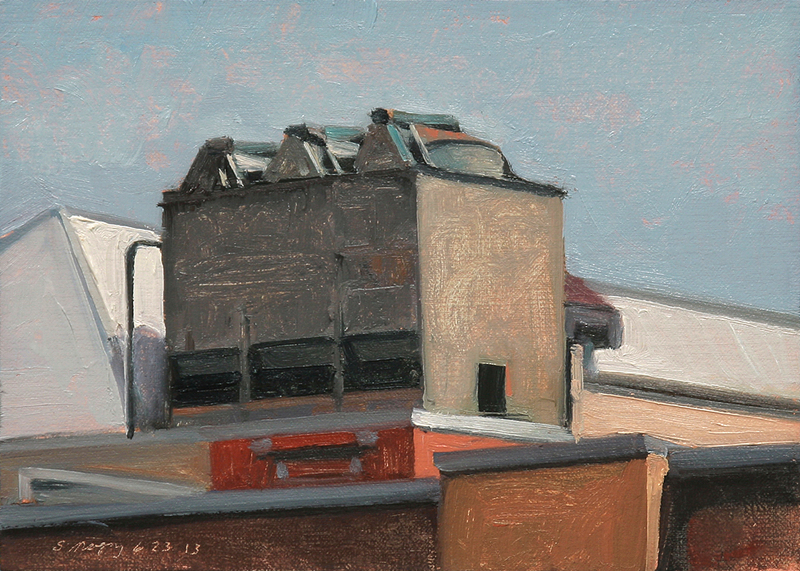 This Urban landscape painting is a view of a wonderful Naples yellow building with tags on Oakland St in Detroit. This urban landscape painting is a view of storm clouds and rain over the city of Detroit.